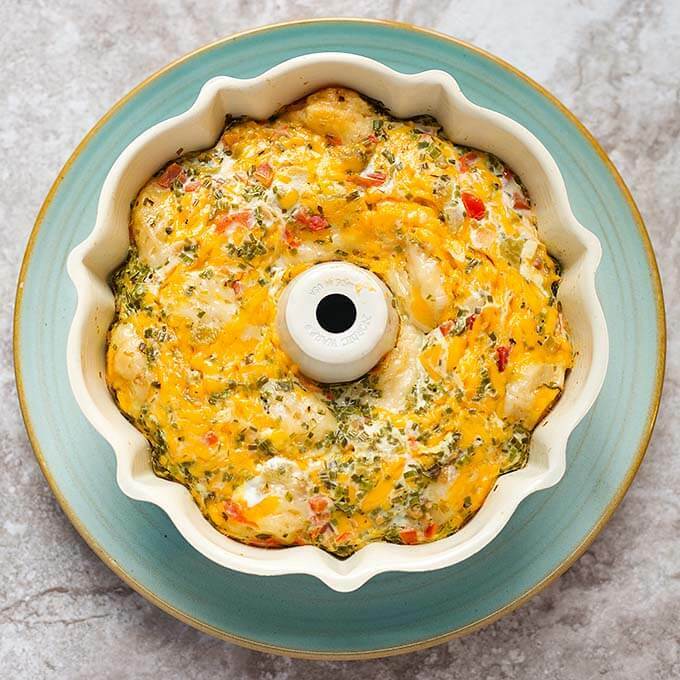 Instant Pot Southwest Biscuit Egg Bake is a fun and tasty weekend breakfast or brunch casserole. It is quick and easy to throw together and cooks fast in the pressure cooker. Did I mention it’s delicious?! I’m always on the lookout for a good breakfast idea. Preferably something that is casual, delicious, easy and quick to throw together, and can feed a few people. 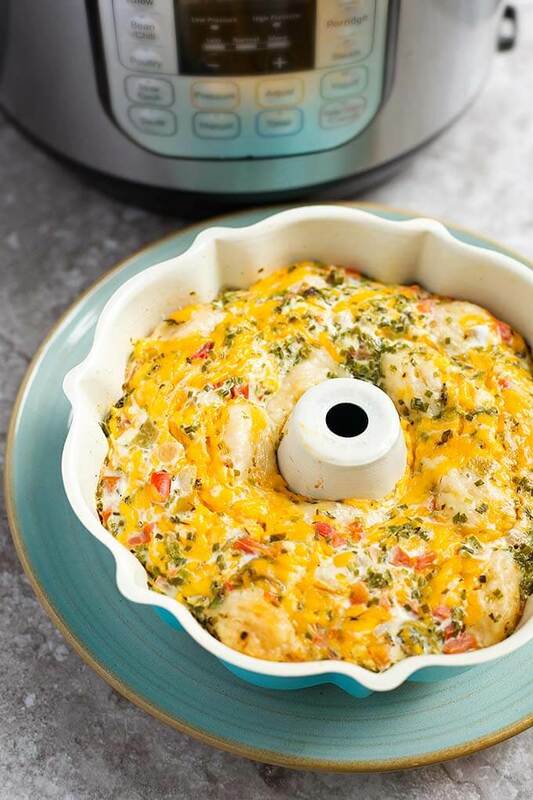 This Instant Pot Southwest Biscuit Egg Bake hits all the marks. Plus it’s cooked in the Instant Pot, so that is always a plus with me! This recipe started as a way to feed a crowd on race day brunches. We have some vegetarian family, so I originally developed this recipe to be vegetarian. You can add meat, such as cooked chopped bacon or crumbled sausage, and it’s wonderful! You can mix up the ingredients if you don’t have everything, kind of like a quiche, just toss in what you have. Adjust the spices to your liking! The biscuits cook up nicely, with the eggs and cheese mixed in. This makes a really nice breakfast casserole. Who doesn’t like an egg bake? 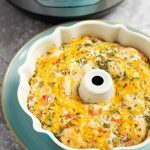 Instant Pot Southwest Biscuit Egg Bake is a tasty breakfast casserole you cook in your pressure cooker. 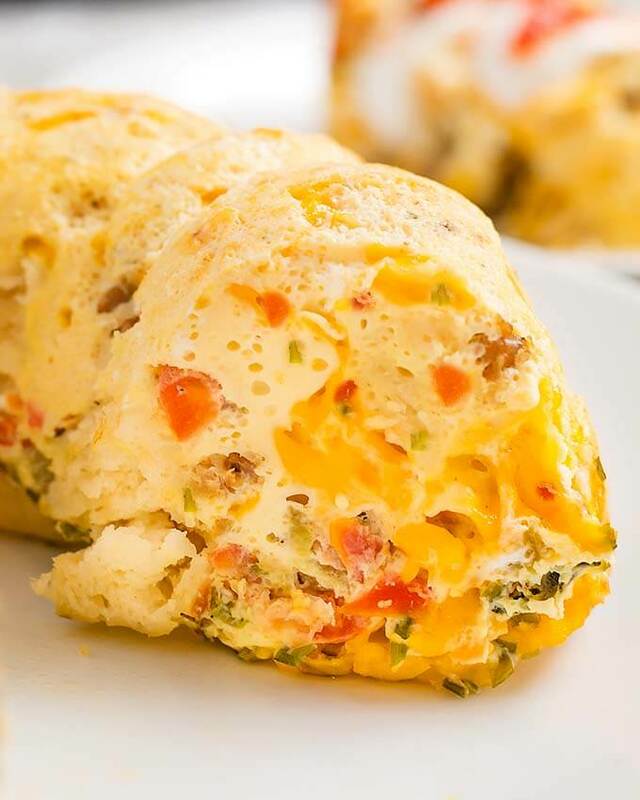 This version has salsa, cheese, green chiles and biscuits! Crack the eggs into a mixing bowl, and add the milk. Whisk well. Add the chives, salsa, green chiles, salt, pepper, garlic powder, and oregano. Whisk well to combine. Set aside. Generously spray a 6 cup bundt pan*. Tear the biscuits into 4 pieces each and arrange on the bottom and a little ways up the sides, if you can. Spread them out. Pour in half of the egg mixture. Sprinkle the cheese over the eggs/biscuits. Pour in the remaining egg mixture and jiggle the pan a bit to get the mixture to settle in. Don't stir it! Spray a piece of foil and loosely cover the bundt pan. Just crimp it very lightly around the edges. Put 1.5 cups of water into the inner liner of the pressure cooker and the trivet/rack. Use a sling to put the bundt pan into the pot. Leave sling in there with it and close the lid, locking it in place. Turn the Steam Release knob to the Sealing position (not on the Ultra model). Select the Steam setting (High) and use the + or - to choose 15 minutes. When the cooking cycle ends, just let the pot sit undisturbed and go into Natural Release / Warm mode. The counter will begin counting up. Let it sit for 10-15 minutes. Manually release any remaining pressure by turning the Steam Release knob to Venting (on the Ultra, push the button). Carefully gather up the ends of the sling and lift the pan from the pot to a cooling rack. Take off the foil and test for doneness. If it is very jiggly, set it back in and give it another 4 minutes cook time. Serve, garnished with a dollop of sour cream and top with salsa. *Spray the 6 cup bundt pan generously just before assembling so the spray doesn't have time to run down the sides and pool at the bottom. I like the recipe, even though I am not that big of a fan of biscuits. It is flavorful and has a nice presentation. I used turkey bacon, medium picante and sharp cheddar cheese. I made half the recipe in a 7 1/4″ ring mold pan and let it NPR the higher time. I think it would be good with diced potatoes instead of the biscuits, but will have to experiment with that. Thanks for posting, it is perfect for breakfast or brunch (or any meal). Hi Kat! I like your idea about the potatoes, I have an oven breakfast casserole that uses them. I like the idea of turkey bacon, too! Thank you for the feedback and review! Do you scatter the biscuits around the bottom so that they are not touching each other? A few touch each other. Some of them float, so it’s hard to keep them in one place. This sounds great! If I don’t have a bundt pan, can I just use the pan that comes with the instant pot? Also, do I need to add water if I’m using an instant pot (sorry, I’m a newbie!). Hi Domonique, you need to put this into a pan that can be put into the pot, which will hold the water. The water will create the steam that builds up the pressure necessary to cook it. Use an oven safe dish. You may need to add on a few minutes to the cook time as there won’t be a hole in the center of the pan, like with a bundt pan. I would like to try making this recipe but like many of the others I am a newbie. I’m confused about cooking time for the recipe. #8. says to set the cooker to steam for 15 minutes. Then #10 says to close steam release valve but doesn’t mention how long to set to cook. Could you please clarify. Ellen, I rewrote those steps to make them clearer, I hope that helps! is this for the 3 qt? It is for the 6 or 8 qt. Using a 6 cup bundt pan.